MANILA, Philippines - The two-time defending champions San Miguel Beermen (SMB) are up to face again the "Never Say Die" crowd favorite Barangay Ginebra Kings in the critical Game 5 of the best-of-seven finals of the 2017 PBA Philippine Cup tonight, March 5 at the Smart Araneta Coliseum. With just a win away from the title, SMB goes aggressive at bagging the series and the permanent Jun Bernardino Trophy in Game Five match. Meanwhile, Ginebra will try their best to extend the series to Game 6. On Friday, San Miguel sealed 3-1 series advantage over Ginebra with the former rained down three-pointers to celebrate 94-85 victory. 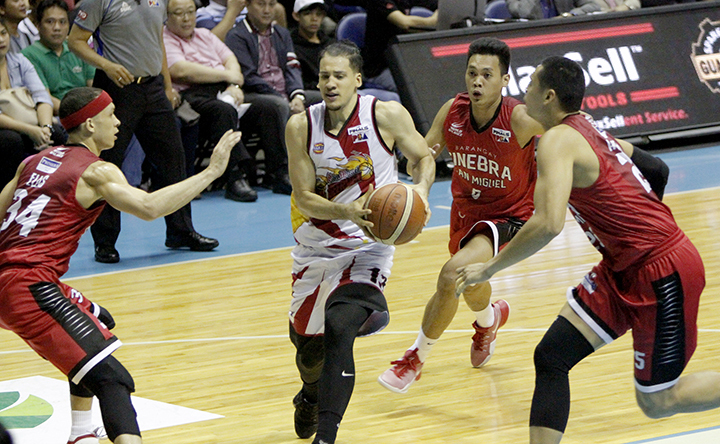 Witness the live action in the PBA Finals with Game 5 tipoff at 6:30 p.m. It will be aired live by TV5.